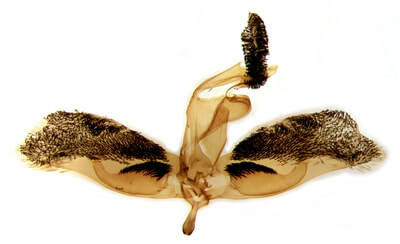 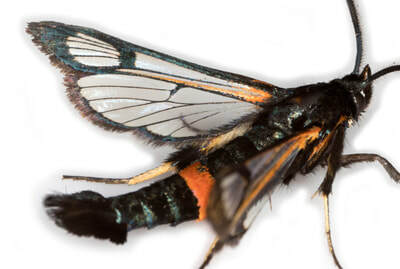 ID: Broad red band on abdominal S4; reddish scales at base of forewing; labial palps red ventrally. 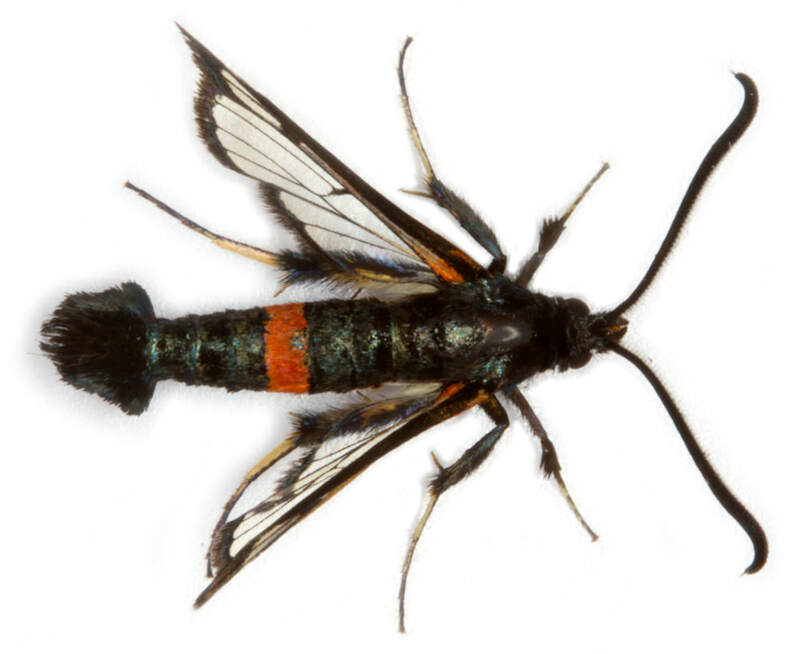 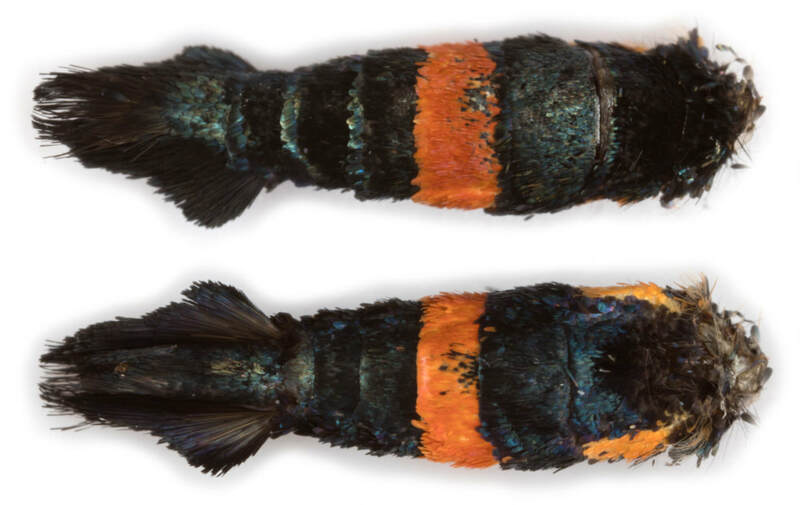 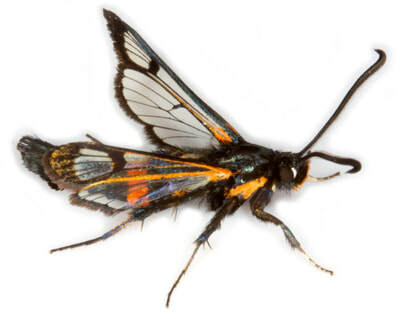 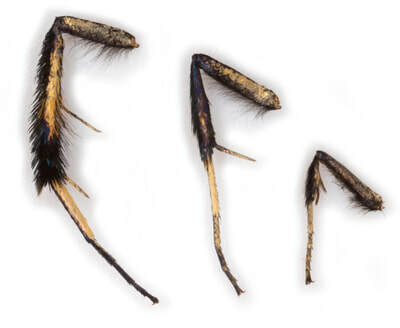 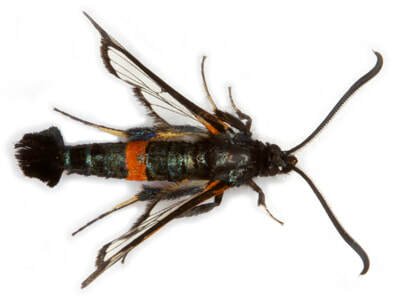 2 other Synanthedon species show a red abdominal band, both are smaller (fw 9-11mm): S.formicaeformis (Red-tipped Clearwing) has a an extensive patch of red scales at the forewing tip; S.myopaeformis (Red-belted Clearwing) has the upper surface* of the forewing entirely black and the labial palps are whitish ventrally in the male. 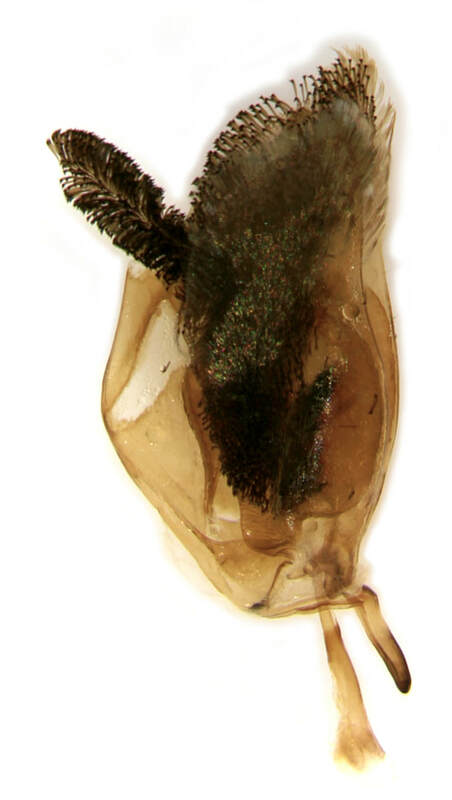 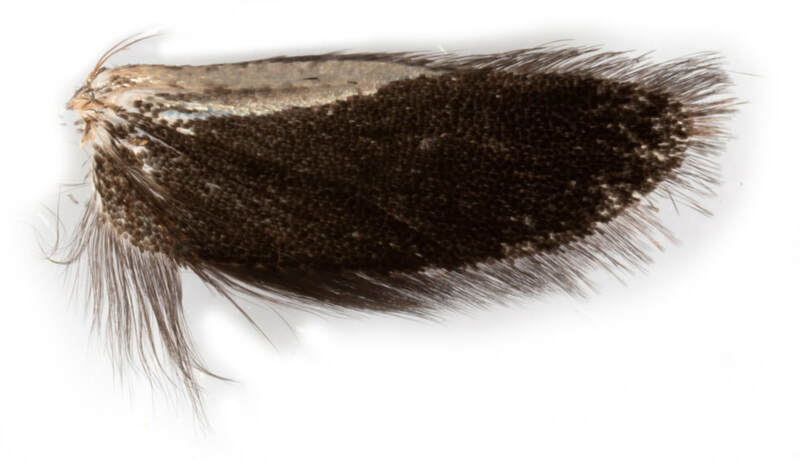 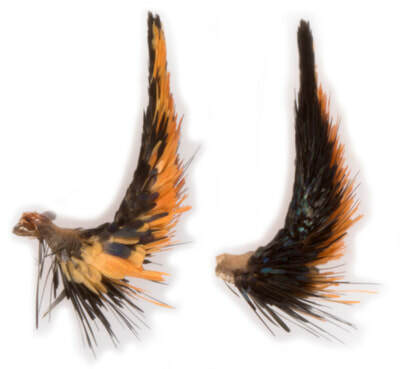 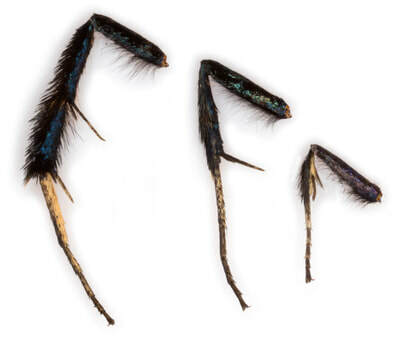 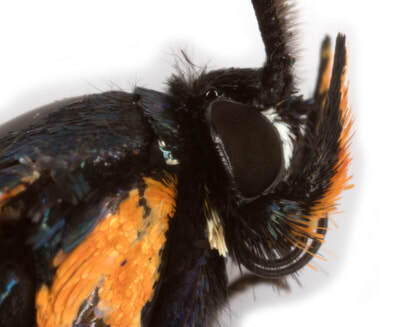 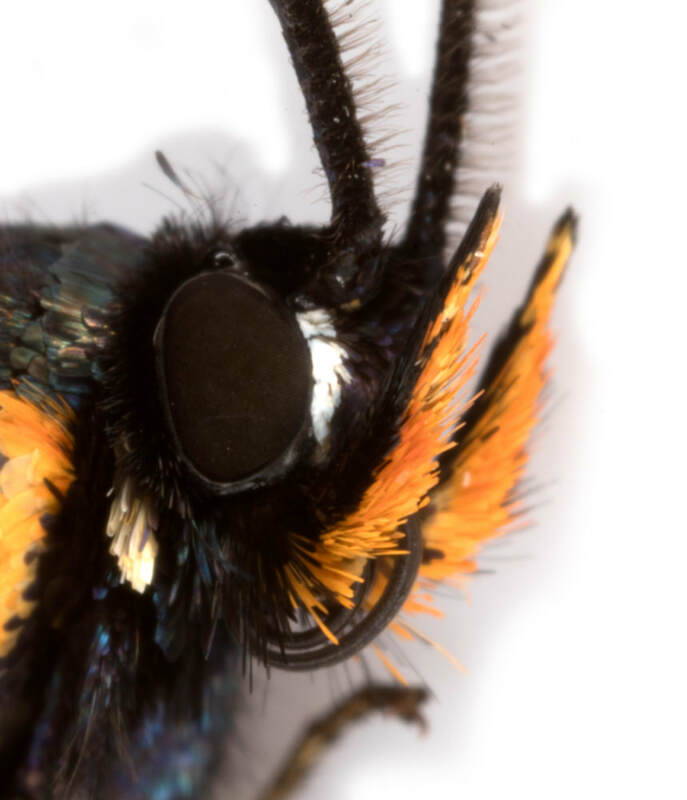 * Waring and Townsend is potentially misleading in stating that S.myopaeformis has "uniformly black forewing markings" - the underside of the forewing in this species is extensively marked with orange-red scales, only the upper surface is uniformly black.